paul gregutt's washington wine blog – unfined & unfiltered: want to expand your palate? try these recent discoveries! want to expand your palate? try these recent discoveries! In the November issue of The Tasting Panel magazine, publisher Andy Blue’s column speaks about winemakers whose wine tasting experience is more or less limited to their own wines. It leads to what I’ve called ‘tunnel palate’ – a very limited sense of what is right or wrong, good or bad, in the wines you taste. Here in the Northwest I don’t find that many winemakers are so limited, but I do find that those who travel abroad, taste wines from everywhere, belong to tasting groups and exchange wines with winemakers from out of the region are inevitably going to make better wines. It is not the winemakers so much as consumers who need to watch out for the limitations of tasting only what you know and like. In the 12 years that I was privileged to write the Wine Adviser column for the Seattle Times, I made it my mission to introduce readers to a broad range of wines from around the world. Yes of course the wines of Washington and Oregon were front and center, as they should be. But putting them in the context of wines from elsewhere was a big part of the job. Because when you go to buy wine at your neighborhood grocery or wine shop, you are faced with a dazzling array of bottles from all over the world. My friend Jeff Miller, who represents Southern Wine Group, is on the leading (sometimes bleeding) edge of wines from elsewhere. Starting with a focus on Argentina and Chile, the portfolio has cautiously expanded, and now includes some excellent bottles from Spain, Mexico, Uruguay, and a new Oregon Pinot project. I tasted through a mixed case of samples and found several that were particularly interesting. Here are my tasting notes, some of Jeff's comments, and suggested retail prices. These three wines, all from Mendoza, have interesting graphic labels, good stories, and are priced well. 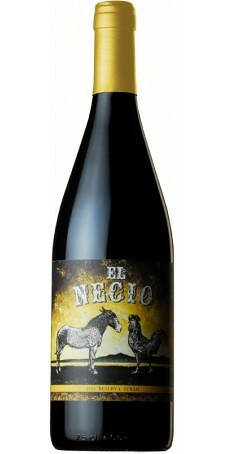 The Syrah is the best of the three, because it shows more varietal character. The Tempranillo, from old vines in a single vineyard, should have been a champ. But both it and the Cabernet suffered from too much vanilla, usually a result of inappropriate use of oak chips. They may appeal to some folks, but to me it seemed a pity to take such excellent juice and blow it away. Bodega Calle “Ca de Calle” 2011 Reserva – $21 – is a Malbec based blend that includes 14% Cabernet Sauvignon and 12% Petit Verdot. Thick, dark and rich with concentrated berry fruit flavors, it continues through the finish with fine, ripe tannins. If you are a fan of Argentine Malbec (who isn’t?) this shows you how the grape can function as the centerpiece of a Bordeaux blend. Next up was a trio of wines from Fernandez Gomez. The Fernandez Gomez 2010 Crianza – $15 – is 100% Tempranillo, produced by Carlos Fernandez and two of his brothers underneath their homes in the old Jewish quarter of Labastida, in Rioja. Their grandfather founded the local cooperative back in the 1950s and owned a dozen top notch vineyard sites. About a decade ago the brothers, having inherited the vineyards, wisely decided to do their own thing. Fermentation/aging takes place in a combination of concrete deposits, concrete eggs, stainless tanks, and oak barrels (French and American, mostly seasoned). Thick flor blankets the winery surfaces. There is minimal intervention in the cellar. I have not visited yet, but I can smell the musky air in my mind! The Crianza is exceptional, with mineral-driven elegance and detail. If Rioja Blanca is something you have yet to experience, don’t miss the Fernandez Gomez 2012 Seleccion Familia Rioja Blanca – $17 – a blend of 60% Viura, 30% Garnacha Blanca and 10% Malvasia. Even better is the Fernandez Gomez 2011 Garnacha Blanca - $23. A little White Grenache is grown here in Washington – I will have some in an upcoming release from Waitsburg Cellars – and I love this grape. It’s rich without being heavy, complex and detailed, and one of those wines you can’t stop drinking. Here half was fermented in concrete eggs, half fermented in French oak, and just 10% went through malolactic. Moving down from Rioja to Toro, Southern has begun bringing in several wines from Frontaura. The Frontaura 2008 Dominio de Valdelecasa Toro – $19 – is produced from the local Tinta de Toro clone of Tempranillo. This is their entry level red, and comes from the youngest vines in their 180 hectare estate, which ranges from 15 to 140 years in age. Tempranillo is an up-and-comer here in Washington, with some very nice wines being made, but there is no substitute for old vines. Consider – our oldest are 15 years; their youngest are that age. This has Euro finesse and detail, a pretty mix of leaf and pomegranate and rhubarb and sour cherry. Just a totally gulpable and thoroughly delicious every day wine. Frontaura 2006 Toro Crianza – $25. Hey, this is pretty old for a crianza, something to do with changes in distributors or some such. But the wine is quite alive, and has the extra benefit of smoothing itself out. So consider it fully ready to drink, with good length, sweet fruit, and some licorice and vanilla highlights. Finally, the Frontaura 2005 Toro Reserva – $35 is a wine that was supposed to sell for $60, but... well, blame it on Obama, why not? In any event, for the $35 ding you get a wine sourced from some of the property’s oldest blocks, aged 18 months in new French oak casks, drying out but carrying the depth and well-aged flavors of fine old Tempranillo.